In my first tournament that I played in last week, I realized that all five of us who were playing are all USCF Tournament Directors. Maybe that accounts for not needing any rulings made. Maybe I could organize a closed tournament only for those who are TDs? My first rated event is indeed over. Five of us were present. Since tonight was the first Monday of the month, we made it a G/10 tournament. 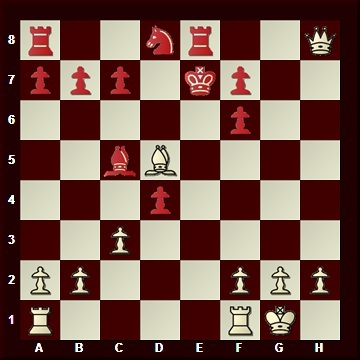 (Game in 10 – each side has ten minutes to make all moves.) Four rounds. My score: 0 for 4. Against one opponent, I almost lost / found the one move to survive me / managed to go up a Queen / dropped my Rook / lost on time. And it was fun, and I enjoyed it. After this evening I can no longer claim to be an unrated player. I am playing my first rated game tonight, in a tournament series on Monday nights. I am calm, I am calm, I am calm. Ohmigawd ohmigawd ohmigawd ohmigawd ohmigawd ohmigawd ohmigawd ohmigawd ohmigawd ohmigawd ohmigawd ohmigawd ohmigawd ohmigawd ohmigawd ohmigawd ohmigawd ohmigawd ohmigawd ohmigawd. OK, seriously now. I’m going to play my very best game. I will do my best to manage my clock and take the time I have to consider my moves. And, if I win, great! And, if I lose, it is *not* the end of the world. The game will be what my opponent and myself make it to be. And that will be sufficient. I’ll edit this entry when I return tonight with the result. I’ll post the game as soon as I can. Entries (RSS) and Comments (RSS). 25 queries. 0.557 seconds.